Potato Salad Mix- Alive with remarkable flavor and incredibly easy to make, this organic and gluten free side dish is a testimony to how a delicious, homemade potato salad should be. CJ’s Organic Potato Salad Mix is more than a time saving alternative to making potato salad. It reinvents how potato salad is supposed to taste. In sequence, simply add the entire packet to 1 Cup of preferred mayo, 1 tsp of white vinegar (optional), Mix well. Refrigerate. Rinse, Chop, Boil thin-skinned potatoes. Cool potatoes below room temperature, then fold in prepared spice mixture. Done! 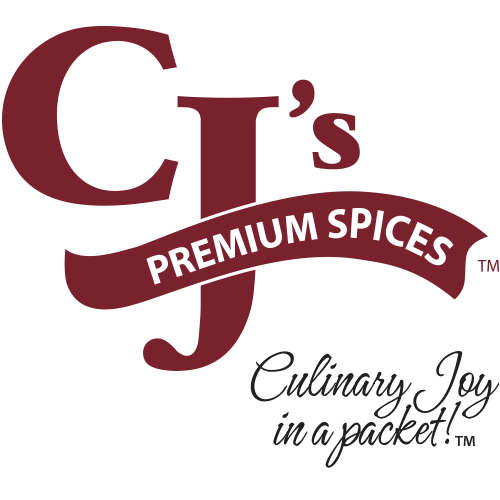 Organic Potato Salad Mix- CJ’s Premium Spices crafts USDA Organic, Gluten-Free by GFCO, Kosher spice/herb blends into a packet, therefore, creating a unique preparation method to make a delicious side dish that everyone enjoys! While, no where else can you find a Spice Blend that requires only 3 simple steps to make a COMPLETE Potato Salad in minutes. Consequently, this Potato Salad Mix has many people raving about it in our Customer Reviews. As a result, this Innovative New Food Product appropriately fits the description of our slogan- “Culinary Joy in a Packet!”. First of all, combine the entire spice-blend packet with 1 Cup of your preferred Mayonnaise, add optional 1 tsp of white vinegar, mix well. Refrigerate. In addition, Rinse, Chop, Boil thin-skinned potatoes, cool to below room temperature. Finally, fold in the prepared spice mixture with the potatoes, done! In conclusion, an easy to make, delicious complete potato salad made in minutes. As a result, each packet makes approx. 3 pounds of creamy and delicious potato salad.